Here at the Academy of Natural Sciences of Drexel University in Philadelphia, the story of the so-called Bone Wars is well known. 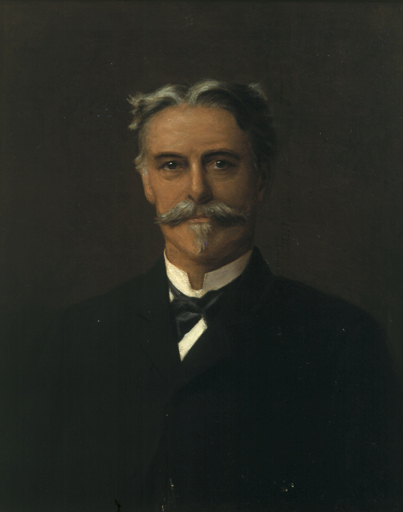 In short, the Academy’s Edward Drinker Cope (1840-1897), also affiliated with U. Penn, and Yale University’s Othniel Charles Marsh (1831-1899), also affiliated with the United States Geological Survey, were both prolific, well respected paleontologists. Both unearthed, described, and published their finds of fossil fauna in the post-Civil War era when the discipline of vertebrate paleontology was quite young in the U.S.